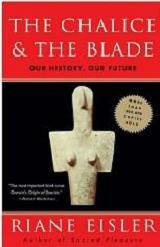 The Chalice and the Blade: Our History, Our Future. The partnership society enjoyed by the Minoans in ancient Crete could serve as a model for a future where one gender or group doesn't attempt to exploit others. Delphi Complete Works of Cicero. I can't say enough about the quality of this translation. And the price is unbeatable! Musonius Rufus: Lectures and Sayings. Essential text by my favorite Stoic, the "Roman Socrates," about the education of children, Stoicism and women, the proper role of a Stoic practitioner, and more. Philosophy as a Way of Life; Spiritual Exercises From Socrates to Foucault. Moving, thoughtful book about Western philosophy as mediation and spiritual exercise, not just academic discourse. Plato Not Prozac! Applying Eternal Wisdom to Everyday Problems. Philosophy - the original form of therapy and self-analysis - can help us to lead better lives. Appendix is particularly interesting and useful. Propaganda: The Formation of Men's Attitudes. One of my all-time favorite books by the erudite Frenchman, Jaques Ellul. More frightening than Orwell, Ellul explains how through technology, modern propaganda has become all encompassing. Plato's best known work. An essential Socratic dialog about how we should best organize our political community. ​Pretty much the most authoritative scholarly overview of Stoic philosophy drawn from all of the surviving works, with interpretation, written for both experts and novices. Classical Thought (A History of Western Philosophy). Covers 1000 years of Classical philosophy from Homer to Augustine. The Gift of Fear: Survival Signals That Protect Us From Violence. ​When is it OK not to be polite? Fundamental victimology text on how to avoid potentially dangerous people and situations. One of the world's most famous books, Roman Emperor Marcus Aurelius' journal has long inspired me and millions of others. Philosophy for Life and Other Dangerous Situations. How the author used a combination on ancient philosophy and therapy to overcome mental illness. This incredible work, one of the classics of sociology and political science, is just as mind-blowing today as when it was first published a century ago. Reason and Responsibility: Readings in Some Basic Problems in Philosophy. 11th Ed. Introductory reader for teaching yourself philosophy. Romancing The Shadow: A Guide to Soul Work for a Vital, Authentic Life. ​How accepting your own darker tendencies can be a path to healing, emotional richness and vitality. Thanks! : How Practicing Gratitude Can Make You Happier. ​How to put the emotion of happiness into practice by focusing on what you can control.